I buddy read this with Charvi @ Not Just Fiction because we were both psyched for the Netflix movie that came out in 2018 and wanted to finish the book before watching the adaptation. 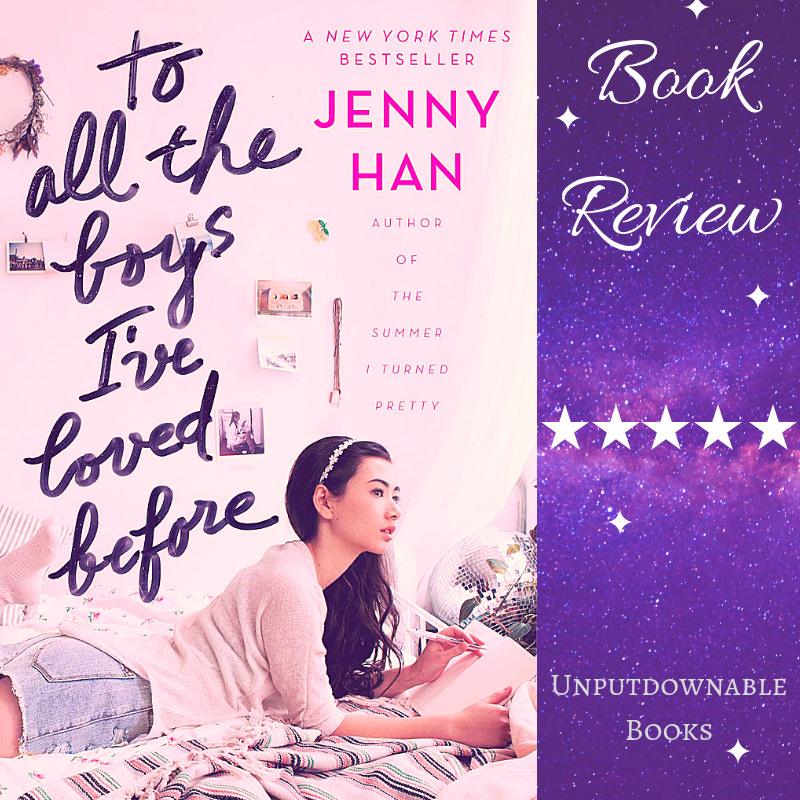 I had heard good things but since contemporary is not my go-to genre and since this book is romance-centric, I was sure it would not live up to the hype. I went into it with very low expectations. I started listening to the book via audio and Laura Knight Keating’s voice immediately drew me in. Lara Jean was a character I could relate to very well because of her shy nature. I also fell head over heels in love with the entire Covey family. I don’t have any sisters in real life, so reading about the Song sisters felt like I was living vicariously through Lara Jean’s story. The plot unfolded like a predictable teenage rom-com but despite that I found myself rooting for Lara and Peter as if my life depended on it. It took me a while to like Peter, but once I did, I was smiling and swooning over all the little cute moments they shared. The main reason I believed I enjoyed this more than I thought I would was because of all the extra aspects that makes it so much more than just a romance. 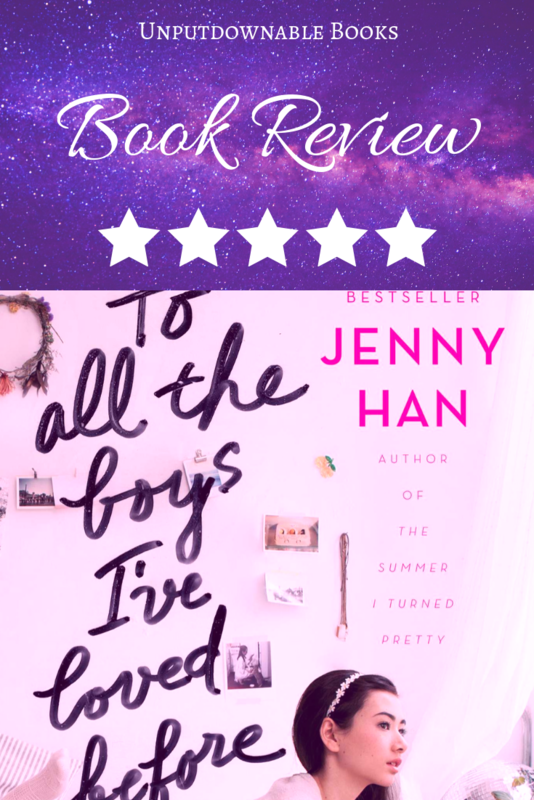 Jenny Han expertly packs in an amazing family dynamic, complicated friendships, the feeling of being a teenager, the struggles of an introverted teen and Korean-American representation along with all the fluffy moments. She created believable characters and the right amount of conflict in the romance that gave me the feeling of being in an actual relationship. I was so smitten by the end that I binge-read the other two books in the series, which were equally good, in my opinion. As a die-hard fantasy fan, I rarely venture out of my comfort zone, but I’m very glad I gave this one a chance as it is now one of my all-time favourite books and series. I would recommend this book to contemporary YA romance fans looking for a diverse read and for those looking to get into genre as well. Coming to the music, I’d recommend some coffee shop or city ambient sounds so as to not distract from the narrative. You can also listen to your favourite romantic playlist if you are the type who can read through that. This book works very well with any baked goodies, especially chocolate chip, or even caramel popcorn or chocolate. Have you read this book or are you planning to? Have you watched the Netflix movie? Are you excited about the sequel? Let’s discuss in the comments section below! Haha, I will surely join you for that! We should also make Sim and Shruti read it right? Or did they finish the series? Ooh yes that’s an excellent idea! I loved this book when it came and still haven’t finished the last book! I need a reread of this! Great review! I liked the movie much better than the book! I’ve read it – it’s quite cute. TBH, I actually liked the movie adaptation better! I felt the same about the trilogy, I never thought I would enjoy them as much as I did. And I agree with you in everything you just said. I can’t wait for the sequel! !